Though the Philae lander has run into a few issues during her time on the comet 67P/Churyumov-Gerasimenko, she has completed more than her share of science along the way. 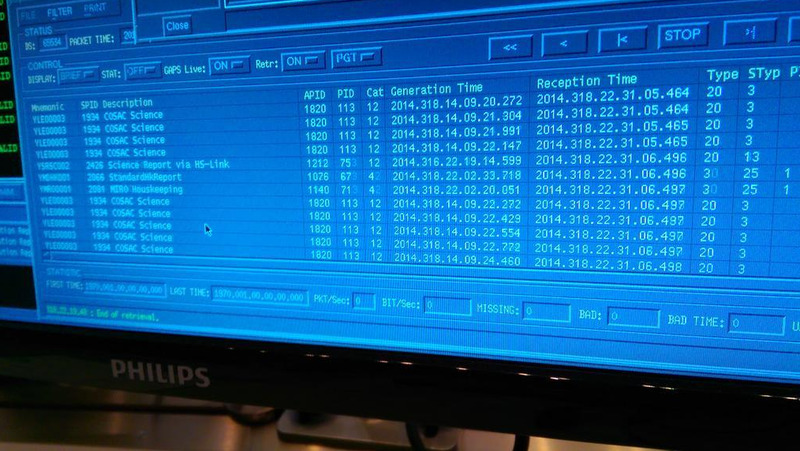 She’s successfully drilled into the comet, analysed what she found, and is sending data back now. When the European Space Agency got word from their comet lander that it had bounced its way into a dark corner of the comet, they knew it meant a race against the clock to get that data. Timing was an issue because of the lander’s limited battery life — the scientists had to use the battery sparingly to conduct their scientific experiments. On Nov. 14, ESA scientists got word from Philae that the MUPUS drill had successfully hammered into the comet and retracted back, supplying the other instruments aboard the probe with samples that the lander has analysed and is now in the process of sending data back to mission control. ESAGraph indicating successful drilling of a comet. 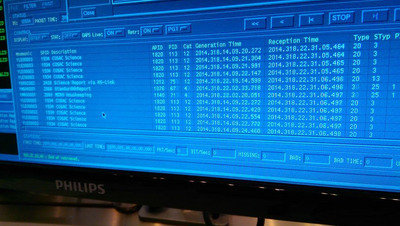 The data analysis isn’t available yet, but it is coming. These samples the drill collected could ultimately tell us if comets like this one carried the key molecules that culminated the conditions for life on Earth. There’s hope for more experiments by the lander in the future, a very slight hope. The lander had a limited battery life — about 60 hours after touchdown — but also solar panels that can generate power and recharge the battery. When the probe first came to rest on the comet, however, it bounced a few times and ended up moving into a shady area that seems to be under a cliff, where it’s not getting enough sun. Right now there’s a chance the batteries are just about empty, as indicated in the chart below. All of the instruments on the lander have been shut down, though the probe is still communicating with Rosetta and sending data back to Earth. 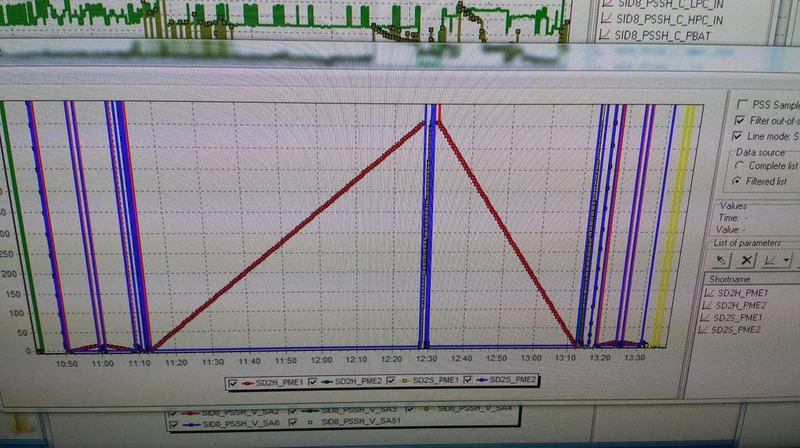 @Philae2014Graph showing the amount of battery power Philae has left. Notice the downward slop at the right, indicating the batteries are dying. As a last-ditch life-saving effort, the Philae team tried to rotate the lander into a sunnier spot earlier today. The landing gear lifted Philae 1.5 inches off of the ground and rotated it carousel style into a new, hopefully sunnier, location which will let it charge its batteries before it freezes to the comet. The rotation was successfully completed, and scientists are now waiting to learn if it repositioned Philae is charging. 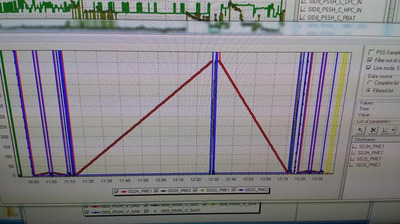 Regardless of the future of the probe, the drill itself was a success and the samples were analysed by the lander, which is currently sending it back to Earth, shown below. 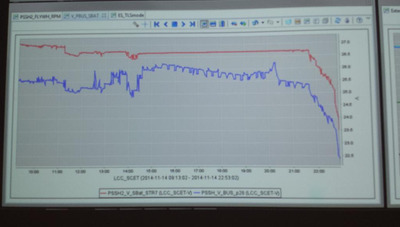 ESAData collected from COSAC instrument. The MUPUS probe uses a type of hammering device, shown below, that penetrated the comet’s surface and extracted samples to analyse the comet’s chemical make up. MUPUS is equipped with a hammer, that nailed a device that resembles an ice pick into the comet. Once it penetrated the surface, the device collected samples of the comet’s surface. The instruments on board called The COmetary SAmpling and Composition Experiment (COSAC), have hopefully analysed the samples, and with any luck ESA has received the data, which they will pour over. 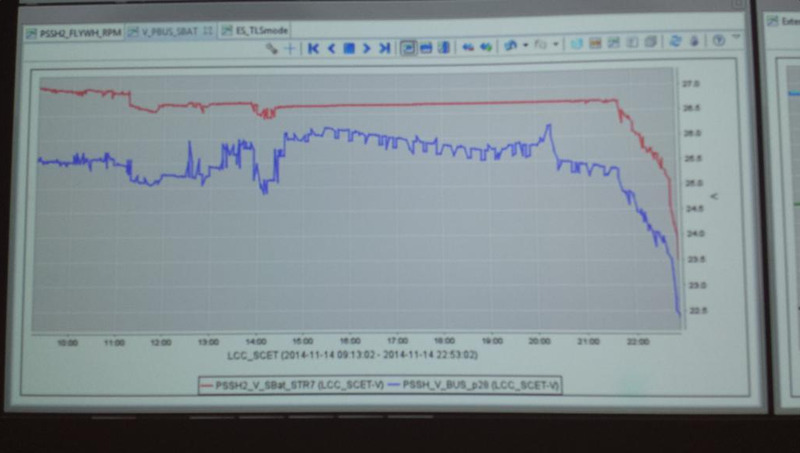 Stephan Ulamec, the Philae lander manager, confirmed that COSAC has some material. Stefan Ulamec: We have energy, we got data. We got all the housekeeping data including all the COSAC data. No idea what’s in there.